Intellectual styles are individuals' preferred ways of using their abilities. This book provides the first comprehensive and systematic review of existing research on the value and desirability of different intellectual styles. By critically analyzing findings from hundreds of international studies undertaken over eight decades, Li-fang Zhang demonstrates that the creativity-generating Type I styles are generally superior to the norm-conforming Type II styles in relation to a wide range of learning processes and developmental outcomes, work performance, physical and mental health, and many other domains of people's lives. She further demonstrates that people explicitly and implicitly express their preference for Type I styles over Type II styles. 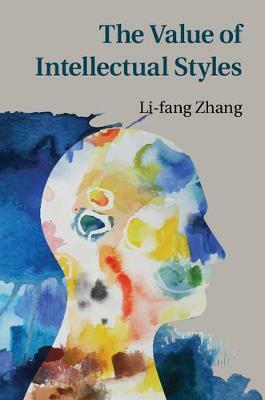 Professor Zhang elucidates the practical value of cultivating diverse intellectual styles, especially Type I styles, in both academic and nonacademic settings, and lays the groundwork for future research to advance the field of intellectual styles and to inform scholarly work in other academic disciplines.